I am becoming a Grow Gorgeous junkie. This product makes your scalp feel great and completely cleansed of product build up. I use the cleansing conditioning cleanser and I have been using a tiny amount of the hair mask on my damp hair before styling. Works wonderfully. I am convinced that my hair density has improved.. I also use the intense serum, another excellent item. All of the products smell so good. I have had people complement my "fragrance" and it is just the Grow Gorgeous products. WOW! 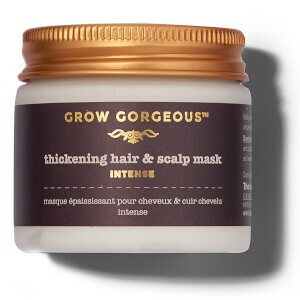 I have totally fallen in love with the Grow Gorgeous line. Tried the shampoo and conditioner, and also the serum. Now I was interested in trying this Scalp Detox. Wonderful product. All of the Grow Gorgeous line have a very nice texture and smell to them. This detox scalp mask is the same. Very nice, slightly "gritty" texture and great smell. Does exactly what it says it does...namely, cleans your scalp with a slight tingly feeling. Leaves the scalp and hair feeling clean and hydrated. 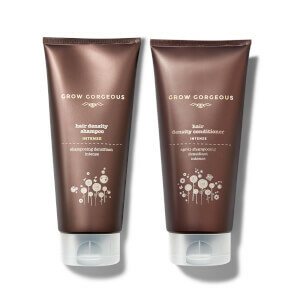 I follow with my Grow Gorgeous shampoo and conditioner. Highly recommended and I know I will re-order when mine runs out.